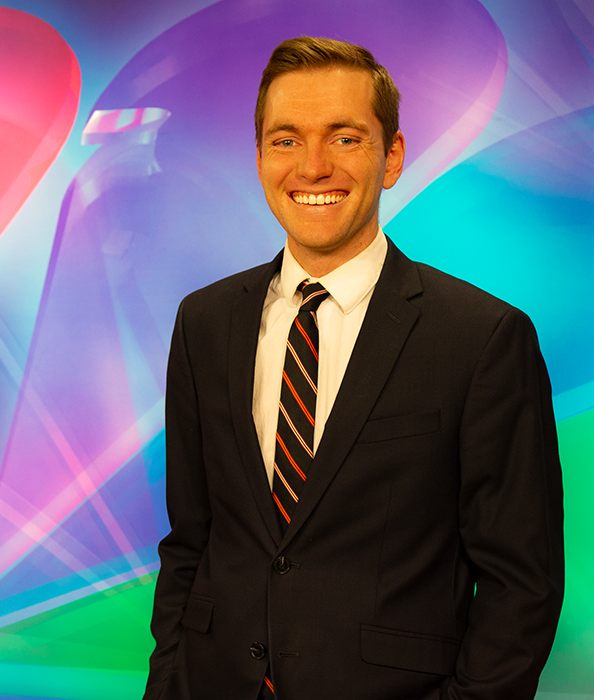 Brant came to Rapid City as soon as he got an offer to work for NewsCenter1. Brant earned his bachelor’s degree in history from Culver-Stockton College in Canton, Mo. and his master’s degree in broadcast meteorology at Mississippi State in Starkville, Miss. History and meteorology, according to Brant, are intertwined and critically important in understanding the “why” and “how” of our modern word. His passion for Byzantine and Russian history brought him overseas to study the lands of Turkey, Russia, Finland and the Baltic States. Brant believes in order to be a good meteorologist, you have to be able to visualize what you’re communicating to people. Along with documenting storms and tornadoes on the Great Plains, his passion for storm documentation and understanding meteorology has led him on expeditions into the eyes of hurricanes Irma, Harvey and Nate, cataloging important data and experiencing firsthand the power of nature. Brant’s hobbies include hiking, photography, storm chasing, traveling, running and visiting historical sites, of which the Black Hills area has many.